Women MPs standing down in Conservative marginal seats BBC News Vulgar abuse on social media from men, long working hours and a “chumocracy” among male MPs are some of the reasons that women MPs are standing down at the next election. Andrew Gimson from ConservativeHome spoke about how the party could have fewer female MPs after the 2015 election, but added that “a great many Tory men find life at Westminster unappealing too”. The Tories increased the number of female MPs from 17 to 49 at the last election, but its MPs Jessica Lee, Laura Sandys and Lorraine Fulbrook have said they are leaving Westminster next year. There is no “exodus” of women MPs, but all-women shortlists are still … Mirror.co.uk Only 22% of MPs are women, and at least eight are standing down at the next election. The proportion of female MPs could drop unless the parties field more female candidates. Glenda Jackson, Dawn Primarolo, Dame Joan Ruddock, Sarah Teather, Annette Brooke, Jessica Lee, Lorraine Fullbrook and Laura Sandys will all stand down before the next election. Most of the women standing down are Conservative MPs, which is a problem for David Cameron and his commitment to improve the gender balance in his party. 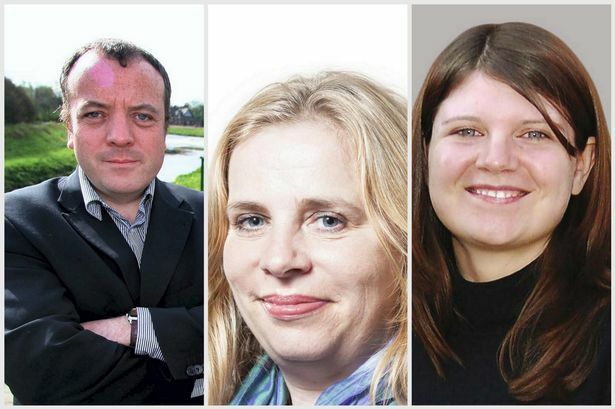 Labour announce prospective candidates for Wythenshawe and … Manchester Evening News Labour’s shortlist for the Wythenshawe and Sale East by-election have been announced. Five local hopefuls – all current or former councillors, four of them women – will be pitted against each other at a public meeting on Friday. Each hopes to defend the seat at a poll on February 13. Two serving Manchester councillors are on the shortlist – executive member for culture, Rosa Battle, and Suzannah Reeves, who represents Old Moat. Mike Kane, once a councillor for Northenden and formerly aide to ex-minister James Purnell – currently working for Tameside council leader Kieran Quinn – has also been shortlisted. Solicitor calls for suspension of Portsmouth South MP Mike Hancock Portsmouth News CALLS are being made to suspend Mike Hancock from the Liberal Democrats while claims that he sexually assaulted a woman are still being investigated. Solicitor Harriet Wistrich, who represents the Fratton councillor’s alleged victim, has written to the party’s Federal Executive asking why it’s chosen to suspend Lord Rennard over similar claims, but Cllr Hancock hasn’t been. It was announced on Monday that Lord Rennard had been suspended from the party, pending a probe into claims he brought it into disrepute by refusing to apologise to four women who alleged he sexually harassed them. Lib Dems suspend MP over inappropriate sexual advances claims The Guardian Mike Hancock, the MP facing claims that he made inappropriate sexual advances to a vulnerable constituent, has had his membership of the Liberal Democrats suspended amid demands that he should be treated in the same way as the party’s former chief executive Lord Rennard. The suspension follows the Guardian disclosure last month of a damning report by the independent QC Nigel Pascoe, which found that there was prima facie evidence that Hancock had made “unwelcome sexual approaches” to a woman in his constituency. UK politician suspended for refusal to apologize York Daily Record LONDON—Britain’s Liberal Democrats suspended a member of the House of Lords from their party on Monday after he refused a suggestion that he apologize to women who have accused him of sexual harassment. Chris Rennard, 53, was accused of molesting four women in incidents dating back to 2003—allegations he denies. An internal inquiry found that the women’s claims were credible but could not be proved beyond a reasonable doubt. Lib Dems may accept qualified apology from Rennard,Clegg signals The Guardian Nick Clegg has indicated that the Liberal Democrat leadership may be prepared to accept a qualified apology from Lord Rennard in which he admits that he caused inadvertent offence to women. As one of the woman who has accused the Lib Dem peer of inappropriate sexual behaviour said she would consider mediation, the deputy prime minister said that most people would accept that some conduct is inadvertent. Sexual harassment claims not a new problem for the Lib Dems The Conversation A few years ago I conducted a feminist analysis of the Liberal Democrats as my PhD thesis. During the research, people (both inside and outside of the party) would often say my project was “a bit niche”, and I tended to agree. Now, however, the Liberal Democrats’ approach to women has become headline news, with regards to the quality of their procedure for handling complaints, particularly in relation to the allegations of sexual harassmentagainst Lord Rennard raised with senior members of the party as early as 2007. and continued press coverage of the party’s failure to secure the election of more women MPs (women currently constitute just seven of the 57 Lib Dem MPs). Previous postUK: Why when Ukip speaks about women’s issues do they end up trolling them? Cameron faces an exodus of women MPs. Next postUK: 1st English book of women’s rights (1632) ‘The Baron May Beat His Wife’. Ire: Lack of female local politicians in Ireland a growing concern.